Today the political climate in both countries is vastly different. Since 2016, Colombia has entered a peace process with FARC (Revolutionary Armed Forces of Colombia) rebels which has seen the insurgency organization enter the political system. Simultaneously, the country has enjoyed economic growth with increases in private consumption and investment. Criminal organizations operating across the sprawling border of 1370 miles with Venezuela are benefitting from mass migration. 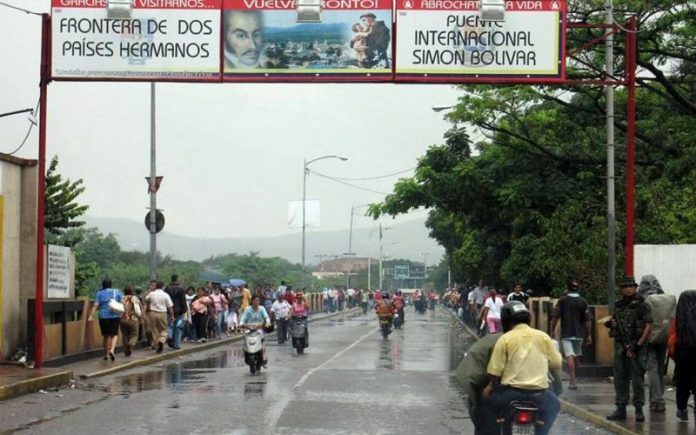 Colombia’s National Liberation Army (ELN) has succeeded in attracting desperate Venezuelans who make the journey across to Colombia. According to the Colombian Defence Minister, Luis Carlos Villegas, an increasing number of Venezuelans have joined the Marxist guerrilla and assist in carrying out attacks in Colombia. Villegas stated that ”Colombian and Venezuelan members of the ELN engaged in both terrorist activity and attacks against the [Colombian] population” and it represents an ”enormous” concern. On January 27 the ELN blew up a police station in Barranquilla killing seven police officers. Furthermore, the exodus of Venezuelans to Colombia has created tense diplomatic relations which will likely hinder regional cooperation in reaching a solution to the migration crisis. Speaking in Cúcuta on February 8, President Santos again blamedNicolas Maduro and his government for the migration crisis as Venezuela refuses to accept humanitarian aid. In contrast, Maduro has accused Bogota of being involved in an international conspiracy to ravage Venezuela’s economy and seek regime change. He has also accused the Colombian authorities of xenophobia towards Venezuelan migrants. As the crisis deepens, political cooperation between the two countries appears more elusive and mercurial: this will have the effect of delaying a viable solution. Colombia faces renewed challenges as the numbers of Venezuelans heading towards the border increases. On May 27 Juan Manuel Santos’s eight years of presidency will end and Colombians will have a new president. According to a recent poll, former guerrilla and leftist candidate Gustavo Petro is leading the race as the popularity of the ruling party has dwindled. Regardless of the path Colombians chose to follow, the migration crisis and its challenges will remain unresolved as long as Venezuelans are pushed towards the Colombian border. Thus, finding a solution to the Venezuelan crisis is a vital objective for Colombia too. Next articleCan Sisi Preserve Stability In Egypt As Warning Signs of Mistrust Rise?